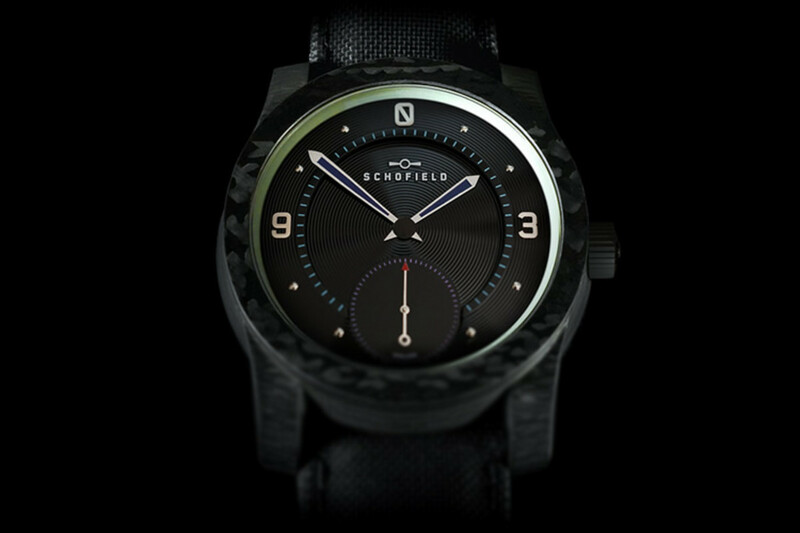 Schofield marries old world watchmaking with space-age materials for their new Blacklamp timepiece. 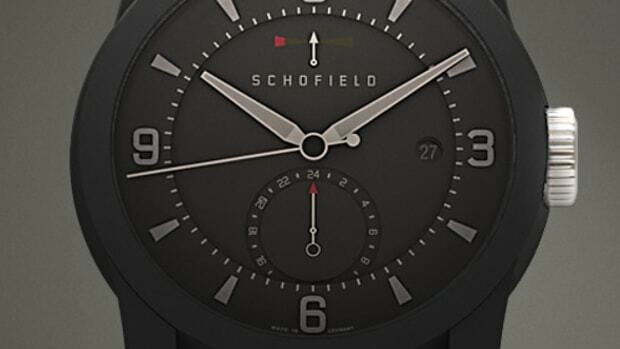 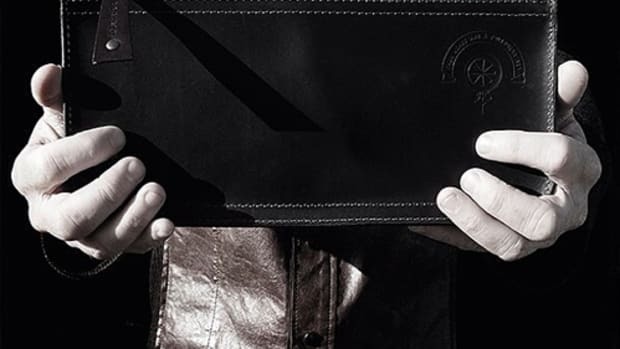 Limited to 101 pieces, the watch has a manually-wound Unitas movement that sits inside a Morta case which is a proprietary material made from a single billet of carbon fiber. 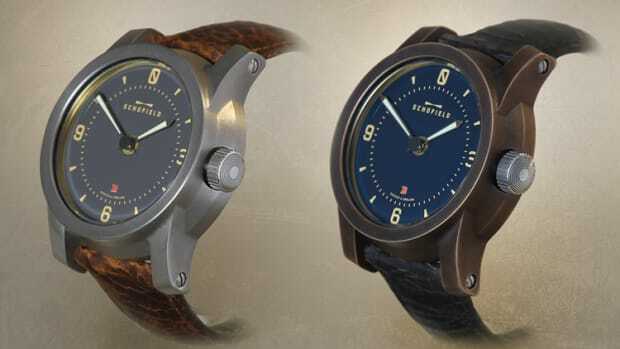 Circling the rim of the watch is Moonglow, a NASA-developed material that helps illuminate the dial and a tritium gas light in the crown makes it easier to spot for adjustments in the dark.